Millions of people around the world have - and continue to - improve their lives based on the teachings of Dale Carnegie. 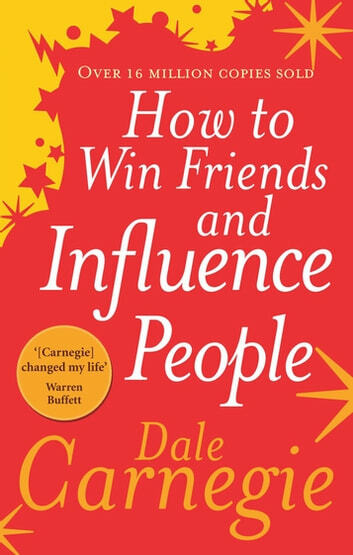 In How to Win Friends and Influence People Carnegie offers practical advice and techniques, in his exuberant and conversational style, for how to get out of a mental rut and make life more rewarding. This book will turn around your relationships and improve your dealings with all the people in your life. After a series of bad events that occurred to me over the passed few months, I had become so consumed in my own negativity that I was unable to force even the faintest smile on my face nor stir the smallest bit of enthusiasm from within. The problem began with an escalating attitude problem; one which I allowed to be set free without thought or consequence as to how it was affecting others around me. The snowball effect took place, and before long I was isolating my friends, aggravating my colleagues, and biting back at those who loved me and wanted to help me; most ashamedly, my Mother. When I was at my lowest, I felt the worst about myself. I realised how selfish I was, how self important I was, but worst of all I couldn't see the ability in myself to change - I felt hopeless. When I read this book, the change came upon me before I had finished the first chapter. Possibly even the first page. Everything that was mentioned - from the criticism (and the desire to blame others), to the need to feel important and appreciated. I was indeed the epitome of everything every human being is SUPPOSED to feel - and that gave me the most important message of all; I was not alone. The difference I soon discovered, was that I simply lacked the ability to control these basic urges and curve my social interactions to suit my surroundings. This book has taught me to do just that, and I cannot recommend it enough, for anyone who seeks to improve their career, relationships, and life. Great book. Will recommend it for everyone. This book has changed the way I relate with people. Many of the points are common sense if we think about it calmly. The best part of the book are the several examples, both from personal and professional life, to which most people could easily relate to. I tried to come up with my own solution to each of the situation mentioned, but failed to come up good ones most of the times. Then when I read the suggested solutions, it was very enlightening.